When it comes to the things in my life I love most, routines are way up there. They rank below the Philadelphia Eagles and Taco Bell, and just above my dressy sweatpants. Having solid routines has made me happier, more productive, and generally a better person. And my Sunday Setup is one of my most important (and enjoyable) to prepare for a busy week. First, I plan my work week (either in the Productivity Planner or in this notebook). 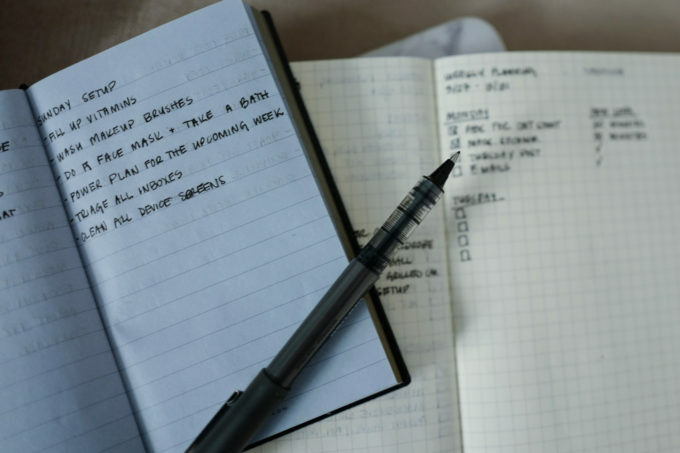 I start with writing down everything on my mind that needs to get done – posts I need to write, images I need to shoot or design, e-mails that need to get out. I’ll jot down the items I need to complete on Monday, leaving the rest of the days blank. I’ll do an e-mail purge (immediately delete anything unnecessary, then answer any quick response notes, and finish the lengthier ones) for each of my inboxes so I can start the week with a clean slate. After I’ve handled the work tasks (which I’m trying to complete on Fridays), I head to my room. I’ll queue up a podcast (currently listening to Lovett or Leave It, and I love it), slip on this headband, and wash my face (I double cleanse with this oil cleanser and this exfoliating one). I’ll follow that up with a mask – this pumpkin enzyme one when I need a really deep clean, this hydrating one if my skin’s feeling tight, or this one if I need a little bit of everything. 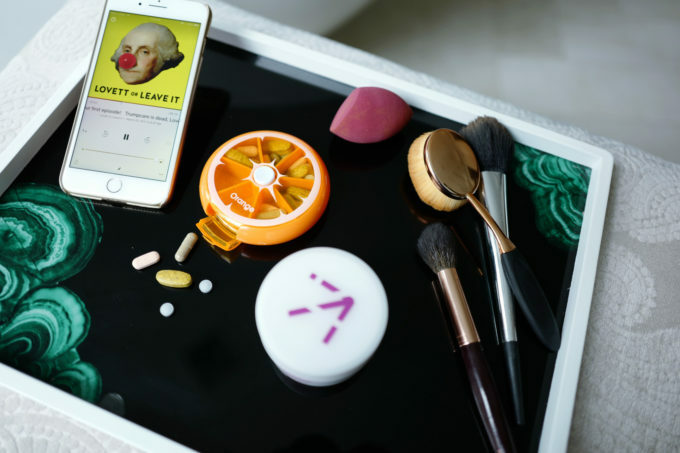 While the mask sinks in, I fill up my vitamins for the week in this case, which sits on my nightstand. I’ll also wash my makeup brushes and set them out to dry, and clean my phone and Kindle screens with these wipes. I wash off the mask and hop in the shower, get dressed, and get out for the day with my family. For the rest of the day, I’m off my phone as much as possible. I like to leave it in my room so I can give Rho and my husband my undivided attention, and pay special attention to what Rho wants to do. Build Legos? Done. “Cook”? Absolutely. Watch Moana for the 50th time? I’m always down for that. In a perfect world, I’d watch Meet The Press (uninterrupted), go to yoga, and prep meals for the week. That’s the world where the Eagles have won a Super Bowl and Taco Bell is actually healthy for you…so a girl can dream. For now, though, I plan to enjoy this routine (and my family-only Sundays) so I can start every week on the right foot. CLICK HERE to save this image on Pinterest! 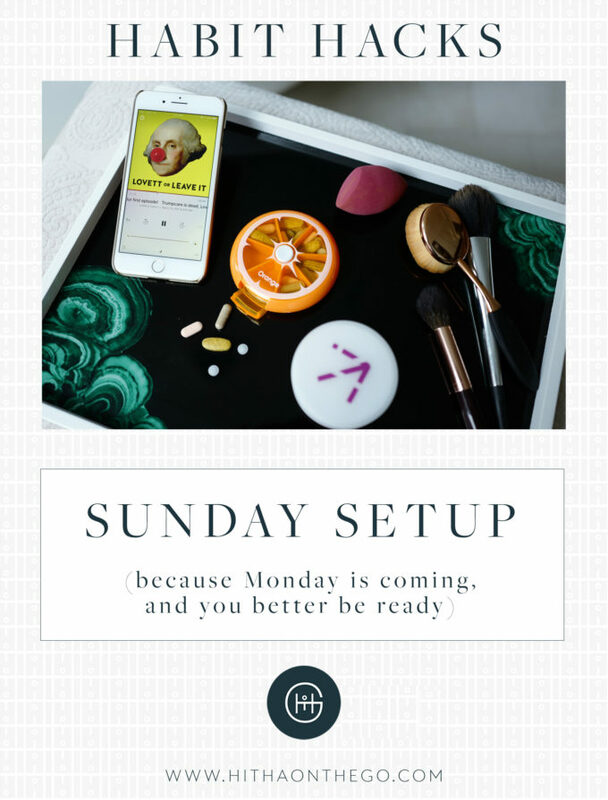 Do you have a routine that wards away the Sunday scaries? COMMENT below and let me know! 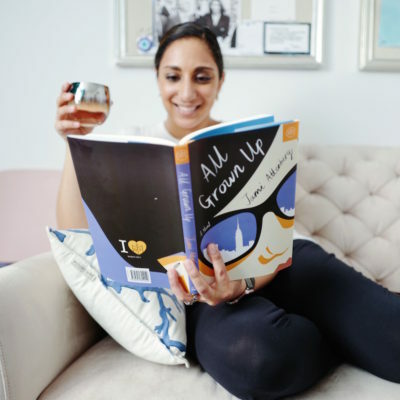 P.S – my morning and night routines, and the book that helped me cultivate my own morning routine.